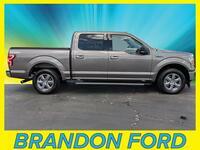 Here at Brandon Ford in Tampa, FL, we know not everyone wants a new Ford car, truck or SUV. 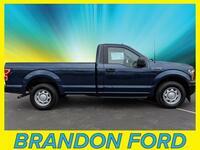 Whatever the reason may be, many are happier spending less and getting a pre-owned Ford car, truck or SUV. That’s especially true for those in search of a used truck. Because each new Ford F-150 lineup is so far ahead of the competition, you’re not missing out on much if you choose a pre-owned Ford F-150 model. 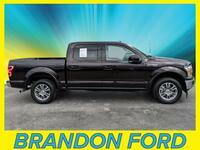 To see what we mean, all you need to do is check out the used 2018 Ford F-150 lineup here at Brandon Ford in Tampa, FL. Not only does the used 2018 F-150 lineup feature more power, more capability, and higher gas mileage than many of the 2019 pickup trucks in its class, the 2018 model year was also the first time a new Ford F-150 lineup featured a diesel engine option. 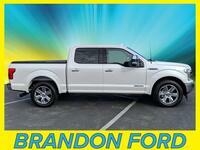 But that’s only one reason why a used 2018 Ford F-150 model is the right choice for many. 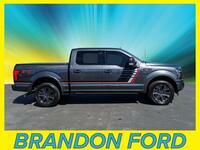 How Powerful and Capable is the Used 2018 Ford F-150 Lineup at Brandon Ford in Tampa FL? 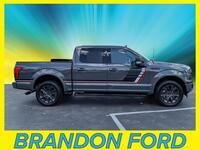 Since we’re talking about America’s favorite truck lineup – the lineup that’s offered best-in-class power and best-in-class capability for as long as we can remember – let’s begin our in-depth look at our used 2018 Ford F-150 lineup at Brandon Ford in Tampa, FL, by checking out what’s under the hood. Thanks to the first-ever F-150 diesel engine option, there are a total of six engines to choose from when picking out your used 2018 Ford F-150. These engine options include a 3.3-liter V6 Ti-VCT engine featuring 290 horsepower and 265 pound-feet of torque, a 2.7-liter V6 EcoBoost engine featuring 325 horsepower and 400 pound-feet of torque, a 5.0-liter V8 Ti-VCT engine featuring 395 horsepower and 400 pound-feet of torque, a 3.5-liter V6 EcoBoost engine featuring 375 horsepower and 470 pound-feet of torque, a 3.5-liter high-output EcoBoost engine featuring 450 horsepower and 510 pound-feet of torque, and a 3.0-liter V6 Power Stroke Diesel engine featuring 250 horsepower and 440 pound-feet of torque. Our used 2018 Ford F-150 lineup also features a max towing rating of 13,200 pounds and a max payload rating of 3,270 pounds. 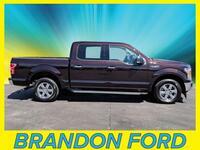 For more on our used 2018 Ford F-150 lineup, please contact our staff here at Brandon Ford in Tampa, FL.